Coffee is already known as the best part of waking up, but why keep waking up in the same place over and over? Maybe you could wake up on an active volcano with a cup of Costa Rica’s best coffee—which is Britt, by the way. Or, maybe, in the Jamaican Blue Mountains with a shot of espresso and some reggae tunes. Sun-drying coffee beans at Doka Estate in Costa Rica. 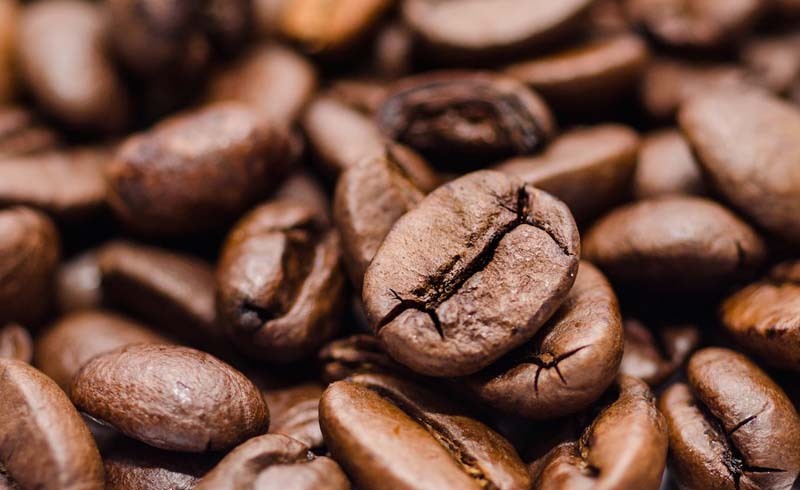 Over 2 billion cups of coffee are consumed each day worldwide. Now, I likely count for roughly 83.7 percent of that consumption, but, regardless, the numbers do not lie. Seriously, it’s something so many people across the globe rely on day in and day out, but what can they honestly say they’re experiencing in the comfort of their own home? Coffee isn’t just a drink, it’s an entire experience. It’s a culture. It’s a lifestyle. If I haven’t made my love for coffee clear yet, just know that I enjoy the stuff. 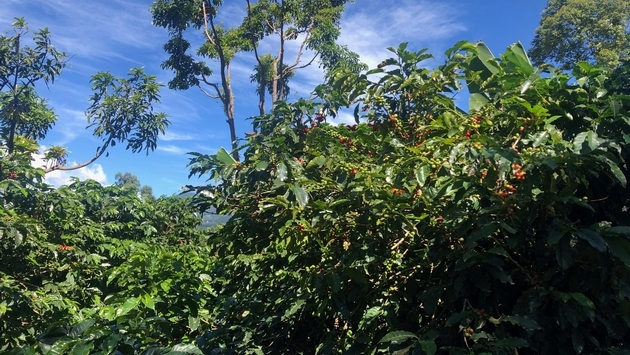 On my recent trip to Costa Rica, I was lucky enough to tour a coffee plantation—and the work it takes to get those tiny beans from the plant to table, well, it took my love to an entirely new height. 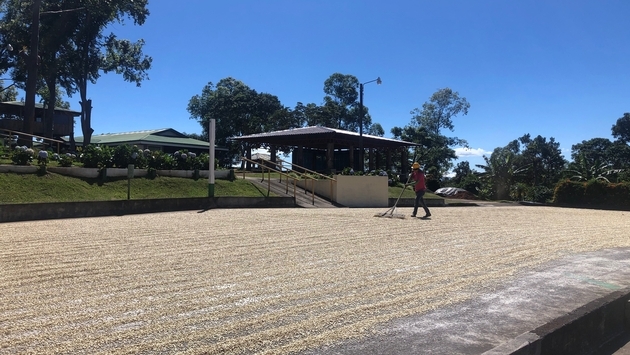 Doka Estate, located on the slopes of Póas Volcano, an active 2,708-meter stratovolcano, is one of the largest coffee plantations in the entire country of Costa Rica and also home to one of the oldest wet mills in the country. The entire process is a bit lengthy, but I cannot begin to thank the hard workers enough for providing me with my daily dose of heaven every morning. First, the beans are hand-picked from their plant, which, by the way, aren’t even really beans. They’re cherries with those beautiful little beans inside. Weird, right? Then, they’re dumped into what is basically a giant bucket of water, also known as a wet mill. This is where the cherries soften up, making them easier to separate from the beans. Coffea plant in Costa Rica. Did you know that the best cherries sink? Neither did I. The floaters, well, they get picked out and the plantation chooses what to do with those less than ideal beans. Next up, the glorious machinery that separates the cherry from the bean. My favorite step is the next one. I’m not sure if every plantation does this, but this one sun dries their beans. They had rows upon rows of beans just drying in the sun, with an employee continuously raking through them to ensure each side sees the same amount of sunlight. 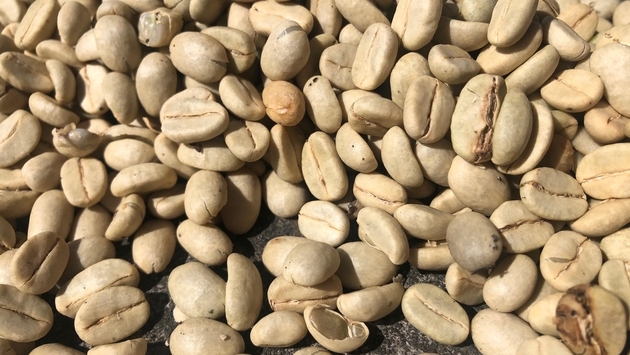 Unroasted coffee beans drying in the sun at Doka Estate in Costa Rica. Roasting times differ from place to place I imagine, but Doka Estate has about four different stages, ranging from 15-20 minutes. Finally, they’re packaged and on their way to your door. The only downside of the whole thing, they’re not really as fresh as they could be at that point, right? You’ve never actually experienced coffee until you have experienced the real deal. That perfectly fresh cup to start our day in the best way possible. I live my day to day life with a steaming hot cup every morning, followed by my evening trip to the local Starbucks, generally followed by another cup before bed. It is that essential for me, along with so many others, to feel even half alive. If you’re going to travel anyway, you may as well experience something you love while you’re doing it. I’ll be the first to tell you the best coffee you will find will not be in the states. 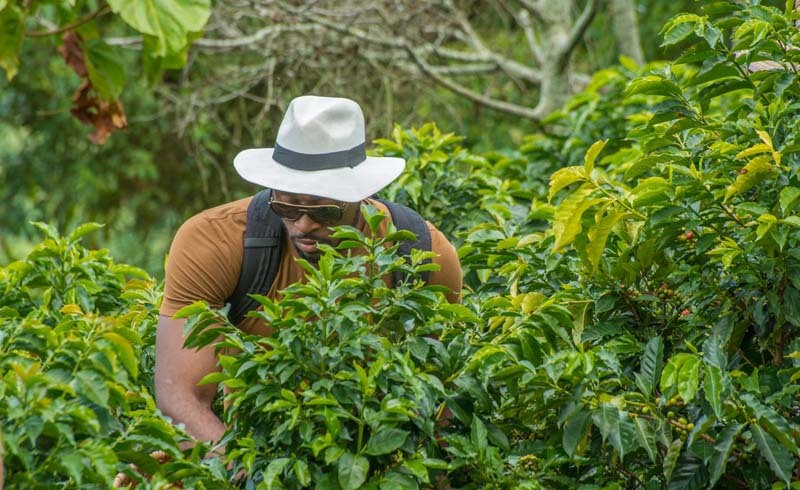 For me, it was Jamaica—full-bodied flavor and subtle sweet notes, all grown locally, right in the heart of the mountains. The price may be a bit hefty, but well worth it for such high-end coffee. Costa Rica was right up there, too. I actually brought home four bags of beans, to be exact. Such an intertwined part of our lives, it’s easy to say you were sitting on your couch drinking your iced latte or walking through the park bundled in your sweater and boots, keeping your hands warm around your delicious, steaming macchiato. But, it’s not every day you can say you were strolling along past cafes and shops in Paris while indulging in your Mocha or whale watching off the coast of the Dominican Republic with the best vanilla cappuccino you have ever had in your life. Next time you find yourself traveling to Italy, specifically Milan—hello, fashion week—take the opportunity to explore their recently opened Starbucks. 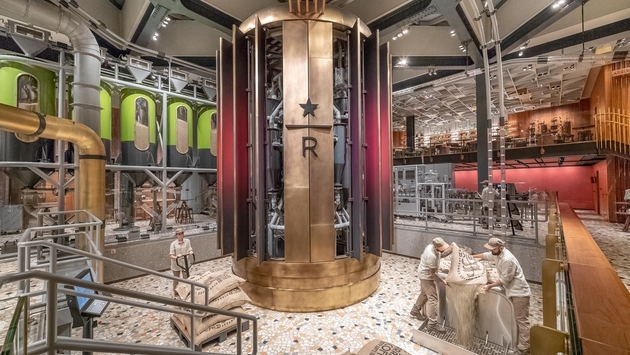 From roasting to packing, the Reserve Roastery, located inside the historic Poste building in Milan's Piazza Cordusio, offers guests a 360-degree view into the entire manufacturing process. Not only will you leave with a delicious cup of joe, but you'll also be learning about the Italian espresso culture. Starbucks Reserve Roastery Milan interior. Even in the states it’s an important part of travel. Whether you’re being served a cup onboard your Delta flight or standing in line at Seattle's Best in a completely different state, it is always there. We need it. So get out there and experience it. Every aspect of it. Experience the different flavors from all parts of the world. Experience those parts of the world while learning about those flavors. It’s probably your greatest travel companion, so never fail to enjoy it to the fullest while you’re enjoying the rest of the world with it.